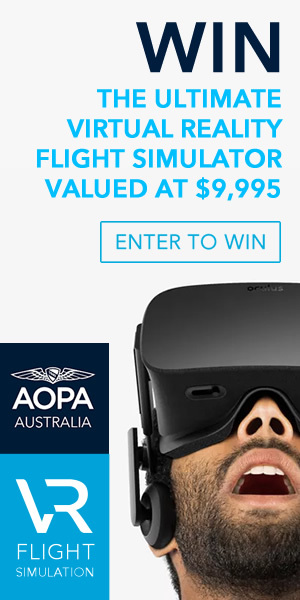 Due to overwhelming demand AOPA Australia is excited to announce our new Great Barrier Reef Air-Safari: opening up one of aviation’s greatest playgrounds to aircraft owners and pilots. 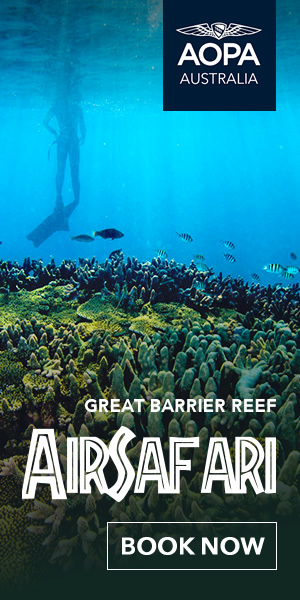 AOPA Australia Members, Family and friends are invited to take part in this exciting 10 day Great Barrier Reef Air Safari, kicking off from the Sunshine Coast on Thursday 12th September finishing at Hervey Bay on Saturday September 21st, 2019. This is set to be a stand-out Air-Safari. Departing the Sunshine Coast, the AOPA Australia Air Safari takes-off for Townsville, where our group will enjoy a boat transfer to the luxurious Peppers Blue Resort on Magnetic Island, staying for two nights. Soaking up the relaxed island atmosphere, and exploring the many island activities and adventures, which include sailing, whale watching, bush-walking and more. 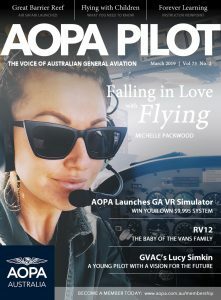 Departing Townsville, the group will fly to Ingham where we will enjoy the lunchtime-hospitality of AOPA Australia Member Mary Brown and the team from North Queensland Aviation. Departing Ingham, the group will track north overflying Hinchinbrook Island and National Park, then on to Cairns Airport. A 30 minute Mini-Bus transfer to the luxurious Sheraton Grand Mirage in Resort Port Douglas where our group will spend two nights. Surrounded by 147ha of tropical gardens, 2ha of saltwater lagoon pools and an 18-hole golf course, the 5-star resort amenities represent the resort’s fresh beachside nature inspired by the Tropical North Queensland lifestyle with some rooms featuring swim-up balconies. Following a fresh tropical breakfast, the group will take a 40 minute cruise onboard the Quicksilver Catamaran to the majestic Agincourt Coral Reef where we will enoy lunch, coral snorkelling, and if you wish, diving amongst the World Heritage Listed Great Barrier Reef. Keep your eye’s out for Nemo and Elvis the Blue Groper as they will be there! Returning from our reef adventure, the group will enjoy a sumptious Air-Safari dinner hosted at the Sheraton Grand Mirage, where everyone can trade-stories and experiences. After our two nights stay in Port Douglas, the Air-Safari gets airborne heading south along the pristine Queensland coast and out around Hayman and Hamilton Islands, arriving at the Whitsunday Airport, where our mini-bus transfers to the premier Airlie Beach Hotel will be waiting. The next day, the group will take part in a 30 minute boat-ride to Whitehaven Beach – famous for having the whitest sand in Australia – onboard a 12 metre semi-rigid inflatable, where we will take part in reef snorkelling, beach-walks and exploration. On our return to Airlie Beach, the group will enjoy lunch at the Airlie Beach Pub soaking up the spectacular whitsunday views. Deaparting Whitsunday Airport our group will enjoy a scenic flight down the Queensland coast stopping at Gladstone Airport for fuel. Departing Gladstone the Air-Safari will arrive into Bundaberg our last destination for our 2019 Great Barrier Reef Air Safari. 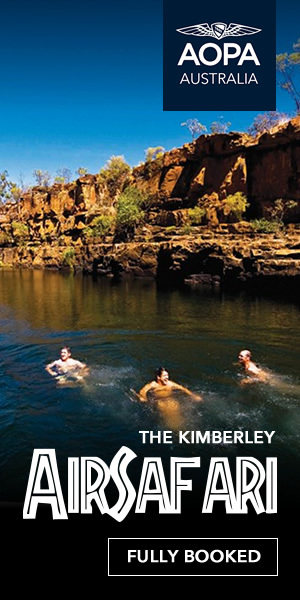 During our two days in Bundaberg, we will take a tour of the famous Bundaberg Rum Distillery, the Bundaberg Ginger Beer factory and a visit to the Bert Hinkler Aviation Museum. On the final night of the Air-Safari our group will conclude with a group dinner, celebrating 8 days of comradare and adventure. Day 5: Depart Cairns, overflying Hayman, Hooke, Whitehaven, Hamilton Island, arriving Whitsunday Airport. 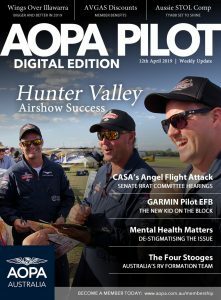 AOPA Australia 'Freedom to Fly' display team launched! Your Daily defense for safe flying.